Walmsley Lodge Motel, a boutique motel and bed and breakfast property. Please e-mail us directly at walmsleylodge@xtra.co.nz Daily and weekly rates are available. 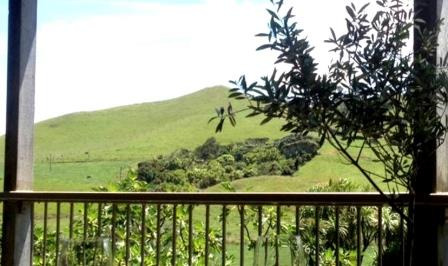 The cottage is very private, with a veranda that offers a panoramic view of rolling hills and native bush. A well-equipped kitchen and BBQ on the verandah are there for meals. Cabbage Tree Cottage is just 2 kilometers away from a West Coast beach, and there are many interesting harbour beaches on the peninsula, too. Golf, fishing, the historic Manukau Heads Lighthouse; art gallery featuring creative work from the area; a regional national park; vineyard. Bed and Breakfast in a 1920's villa, 5 Collingwood Road, 3 minutes from Waiuku Town Centre at the gateway to the Awhitu Peninsula. We are located 50 minutes form Auckland CBD, 45 minutes from Auckland Airport or 20 minutes from the Drury off-ramp on the Southern Motorway. 20 minutes from Pukekohe and 90 minutes from Hamilton. 10 minutes to Castaways Event Center & Day Spa, and 5 minutes to Glenbrook Vintage Railway. Beside the sea at tranquil Hudsons Beach on the east side of the Awhitu Peninsula. Get away from it all where you can enjoy your own separate and private accommodation with breakfast included.